RIT’s MAGIC Center has been selected as the 2016 host site for the New Media Consortium. 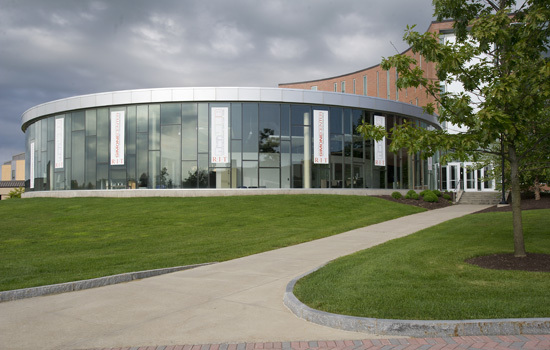 The Center for Media, Arts, Games Interaction and Creativity (MAGIC) at Rochester Institute of Technology has been selected as the 2016 host site for the New Media Consortium, according to an announcement made June 11 at the closing ceremonies of the 2015 conference in Washington, D.C. The international conference will be held June 14–16, 2016, on the RIT campus and at the Rochester Riverside Convention Center. The New Media Consortium annually draws hundreds of highly-skilled professionals from universities, colleges, museums and research centers, and stimulates and furthers the exploration and use of new media and technologies for learning and creative expression. Thought leaders within the education industry are encouraged to “push the envelope” and implement cutting-edge technologies and learning approaches. RIT is the first university to host the consortium since the University of Wisconsin-Madison in 2011. RIT’s MAGIC Center is a nonprofit university-wide research and development laboratory and a for-profit production studio that assists in efforts to bring digital media creations up to marketplace standards and commercialization. Faculty, staff and student researchers, artists and practitioners come together to create, contextualize and apply new knowledge in a multitude of related fields and disciplines as appropriate not only to STEM or the arts and humanities, but their intersection. The center is designed to bridge the gap between research and prototyping, and the ability to bring industry polish and commercial scale and support to myriad projects.